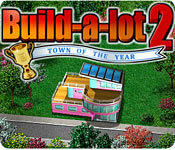 2007 Winner of the #1 Arcade game award, that lets you become a Donald Trump and become a Real Estate Titan. 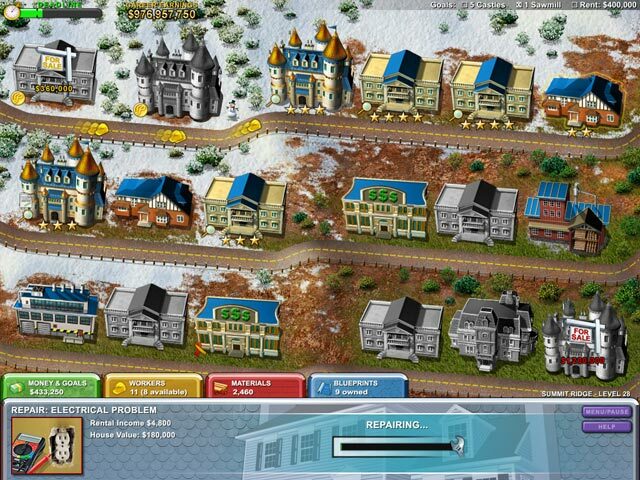 In Build-a-lot, you play for all the marbles as you build and renovate houses then sell the houses to generate a massive cash flow to feed your Real Estate Empire. Flip houses like a pro for quick returns and watch the cash flow in from rental properties. 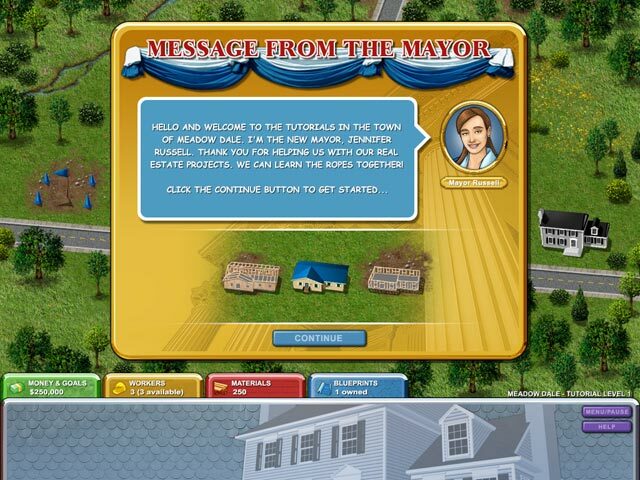 As you move about the countryside, doing local mayors bidding as you secretly lay the foundations for the growth of you profits. Design and build whole residential areas and build up cities infrastructure in preparation for sporting events, a stadium or perhaps a movie Cineplex to improve the neighborhood. The name of the game is getting rich and you can do it when you Build A Lot!